Discussion in 'Gear & Equipment Reviews' started by Meerkatsu, Dec 17, 2012. 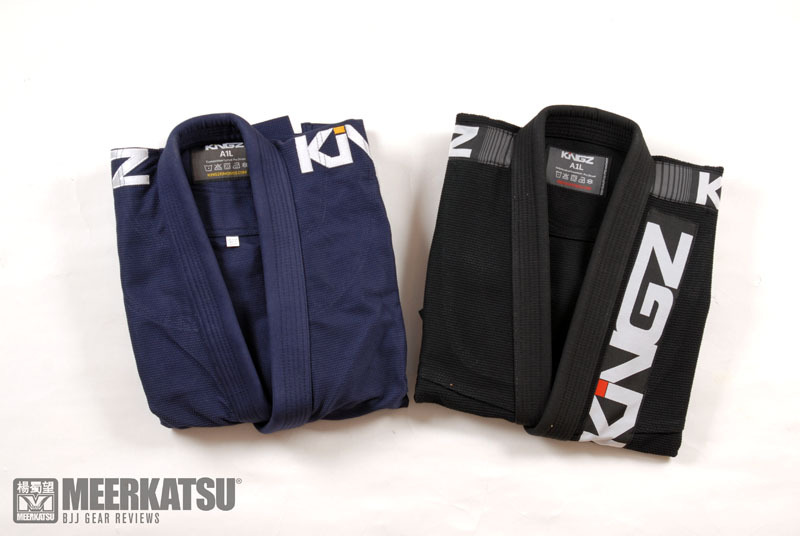 Fighters Market kindly sent me two of the version two gis, the lightweight 420V2 in black and the navy coloured 450V2. I tested both gis over a period of 5 weeks. Even before rolling, they felt physically like two very different gis. The jackets fitted me pretty well overall - the extra long dimensions of the A1L being a good choice for skinny light dudes with long arms like me. But something not apparent in the size dimension stats was that the 420 seemed to feel baggier on my body compared to the 450. There seemed to be a lot more 'give' under the arms and around the torso of the 420 than with the 450 - the latter felt more fitted on my body under the arms and upper torso. I enjoyed the lightness of the 420 as it reminded me a lot of my very old once-favourite gi - the Vulkan Pro Lite. What surprised me however was that the 450, although on paper only a wee bit heavier than the 420, felt a good deal sturdier and more solid once worn in the class. 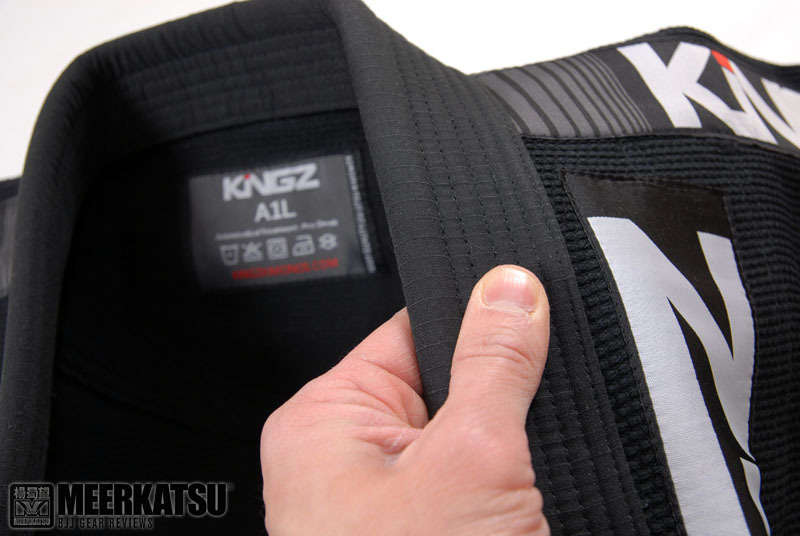 I must admit I much preferred the crisper feel of the 450 pearlweave over the more pyjama-like 420 - an interesting reversal of opinion compared to my review of the original version one Kingz gis. But it was the performance of the trousers where I felt the differences were most apparent. 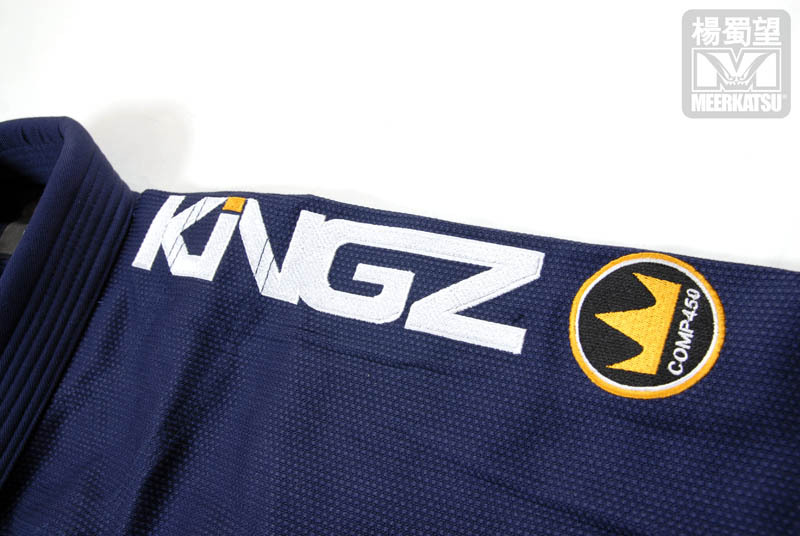 The 420 ripstop material is a refreshingly light and comfortable material. But the over-restrictive space in the groin area was a real problem for me when rolling. It was simply not comfortable. The 450 pants had almost the opposite problem - the gusset panel was very generous in this region and the trouser length remained stubbornly longer than I am normally used to, despite repeated washes. But given the choice between the two, I would happily wear the 450 pants over the 420 ones. If it was not for the branding, I would swear these were two different gis from two different companies. The navy coloured 450 is cut very differently to the black coloured 420. The collar is a lot thicker on the former and the latter's trouser sizing are completely different. It's a shame because I felt the 420 jacket was damn near as good an ultra light gi as one could buy - easily rivalling anything made by big name brands like Vulkan or Koral. And I must give props to the trouser material - a nice lightweight ripstop that felt very comfortable to wear. The navy gi jacket was wonderful for training in. It's tough and sturdy but not too heavy. The navy colour fades in a patchy sort of way but that to me only adds to the appeal. I really enjoyed the application of dark yellow and white graphics on the navy background and the jacket fit is pretty much spot on for me. The trousers are a tad too long and baggy for me, but the softness and comfort value of good old fashioned twill is a good choice as far as my preferences go. Weight cutting is never an issue for me at comps so I wouldn't necessarily opt for the 420 as my first choice gi. Having sampled both, I actually just prefer the 450 anyway as it feels great and looks great.